But it’s true and according to the company the goal is to “Deviate” from traditional thinking about golf clubs to encourage more golf and particularly more travel golf without having to lug around a bag of clubs. 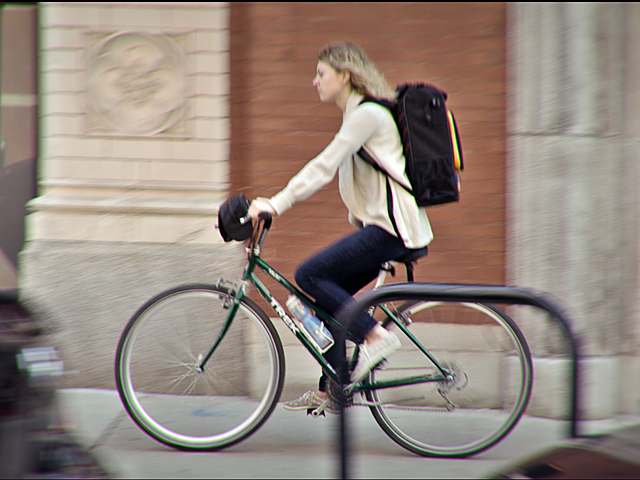 The question everyone asks is how do they do it and that’s simple. First of all there’s a backpack and the standard set includes 10 club heads: a driver, 3-wood, 5-hybrid, 5-iron through sand wedge and putter with a three piece graphite shaft. The key is the shaft which uses stainless steel couplers, one lower to change clubheads and one upper to change shaft length should a second shaft be purchased. A Pl ay Set is $900 with a shaft and 10 clubheads in the backpack bag and reports are playing with them though different is certainly OK for many circumstances. There’s also a starter set with a driver and four irons (5, 7 and 9-irons) with the backpack and one shaft for $500 and the Full Monty with 14 clubheads for $1,200. 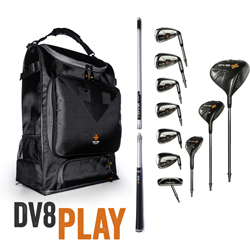 The DV8 bag also has a compartment for a tablet on the inside of the front flap so users can take a video of their swing or watch instructional videos and even snap the ubiquitous selfie. Plus there’s an added bonus—and this is really an example of inspired thinking—the loaded backpack fits in the airplane overhead bin so your golf clubs become a carryon rather than a hassle. Finally, according to the company’s testing, clubs with the couplers in the shaft hit the ball essentially the same distance as their shafts without couplers.